Details on the innovative new ride system planned for a “Guardians of the Galaxy”-inspired attraction to life at Epcot. The ride system and ride vehicles will be unlike anything Disney has created before. 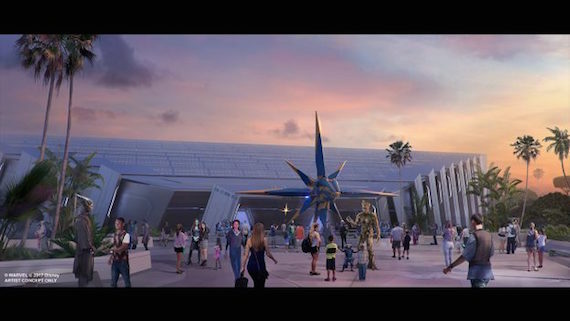 This Guardians of the Galaxy ride will be rich in storytelling. Guests will be fully immersed throughout the experience. Each ride vehicle will be programmed to direct your eye to the story happening around you. The attraction will be one of the world’s longest enclosed roller coasters ever built. The coaster will open in time for the 50th anniversary of Walt Disney World. Candlelight Processional Dining Packages go on sale Wednesday July 11, 2018. Book a Candlelight Processional dining package by visiting Disneyworld.com/dine. 2018 Epcot Candlelight Processional dates have been announced: The first show begins on Thanksgiving (November 22) and will run through Dec 30, 2018. Previously I shared with you dates for Mickey's Very Merry Christmas Party at Magic Kingdom, be sure to check that out as well! Celebrating the legendary Norse gods and goddesses that inspired the ancient Vikings of Scandinavia in their daily lives, you can stop in to learn more about the popular Viking gods Thor, Odin, Freyja, and Loki through displays of authentic Viking artifacts. This exhibit can be found inside the Stave Church located right at the entrance to Norway - yes you can really go inside! Be sure to check it out on your next visit. Disney announced some major enhancements for The American Adventure show, one of my personal favorites at Walt Disney World. The Golden Dream montage gets me every time. And speaking of the song Golden Dream, Disney has rerecorded it with new voices and a new orchestration. The show's finale sequence of famous Americans has been updated to include composer John Williams, astrophysicist Neil deGrasse Tyson and noted ballerina Misty Copeland. The American Adventure will re-open late February or early March. Darren Wittko specializes in Disney Destinations. 1. Art of Topiaries The Disney horticulture team will be showing you how we create some of the amazing signature Walt Disney World topiaries. 2. Watermelon Carving – A watermelon will be artfully carved while you receive great tips and tricks to use at their next party. 3. Magic with Water – The Disney Photo Imaging team will discuss tips and tricks for taking great photos around water; including swimming pools, play fountains, waterfalls, and even in the rain. You will also learn about using camera settings, lenses, and locations to get the best results. 4. Animated Flip Books – This session is animation 101 where you will have the opportunity to create their own animated Flip Book while going over the fundamental principles of animation with one of our Disney animators. 5. Food Styling 101 – If you love taking photos of amazing dishes, this is your experience. The session will look at the basics of what goes into making food photo- and video-ready. Lessons include going from ingredients to a beautiful hero shot, talking tricks and tools of the trade and sharing tips to make their own food photography shine. 6. Inspiring Floral – This workshop will share floral design principles along with Disney-inspired creations to help you bring the magic of Disney home at any time of the year. 7. Handcrafted Calligraphy – It’ll be difficult not to have fun learning the basics of pointed pen calligraphy. This workshop will cover topics such as mastering faux calligraphy, how to hold an oblique pen, letter formation, common issues you may run into, and which paths they can take with their new skill. 8. Phone Cam Photography – This photography session from Disney Photo Imaging is for everyone! You will learn how to maximize the capabilities of your phone’s camera to improve your photos. Lighting adjustment, color adjustment, taking High Dynamic Range photos, time lapse, and how to edit photos are just a few of the topics on the agenda. 9. Handwritten Typography – Nothing is more personal than typography created by hand and at this workshop, a Walt Disney World Resort creative service manager will teach you how to draw their own hand drawn typography to create personalized gifts and cards. 10. Storytelling Drawings – A single drawing can tell a story – and this workshop will show you how to do it. A Disney animator will share the art of quick sketching from life. Gesture drawing of people covered in this session is a foundational practice for animators, storyboard artists, and directors. Later this season, Mexico Folk Art Gallery, which currently houses a spectacular collection of “Dia De Muertos” artwork, also will feature an interactive exhibit and festive dioramas showcasing scenes from the film. In addition to this new musical experience, you can enjoy “Las Posadas,” featuring colorful dancers and performers from Mariachi Cobre celebrating the holiday customs of Mexico during the Epcot International Festival of the Holidays. 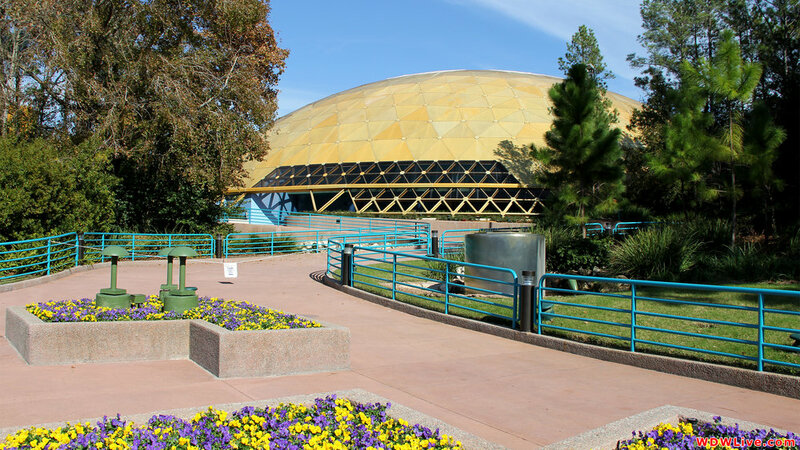 And – of course – the millions of extra plants, trees, shrubs, flowers and themed gardens that decorate Epcot in spring. Also returning will be our Egg-Stravaganza scavenger hunt and hand-crafted and Festival merchandise to extend an already-packed day of adventure at Epcot. >> Check out available Spring Offers on Walt Disney World Resort hotels and tickets.